Prof. Dmitriev A.L. "PHYSICAL GRAVITY", - St.Petersbourg, 2018. – 240 pages. Prof. Serkov A.T., Serkov A.A. VERIFICATION OF M.FARADAY'S ON THE GRAVITATIONAL POWER LINE. - Lambert AP, 2015, [pdf]. Prof. A. A. POTAPOV "DEFORMATIONAL POLARIZATION"
BJERKNES Christopher "ANTICIPATIONS of eINSTEIN in the GENERAL THEORY of RELATIVITY"
BJERKNES Christopher "ALBERT eINSTEIN the INCORRIGIBLE PLAGIARIST"
Prof. F.WINTERBERG "THE PLANCK AETHER HYPOTHESIS"
Sir Edmund WHITTAKER "A HISTORY OF THE THEORIES OF AETHER AND ELECTRICITY"
Prof. G. V. NIKOLAEV "THE SCIENTIFIC VACUUM"
"The Ether and Universe: The Ether is the Basis for propagation of Electromagnetic Fields and Gravitation"
In spite of the fact that the mankind uses radio waves, magnetic and electric forces everywhere, the structure basics of an electromagnetic field and its material carrier have not been found up to now. There are many gravitation theories that differ radically. We believe that the transmitting agent of electromagnetic, gravitational etc. influences is the ethereal medium. The visible space is filled with the ethereal medium. The ethereal medium consists of two types of particles that are of the same size, but opposite in sign. These particles are strongly attracted together forming a homogeneous space. The ethereal medium has a certain electromagnetic density and elasticity. In the ethereal medium linear, circular and other movements of physical bodies may exist infinitely long. An electromagnetic field is the consequence of torsion, twisting and shear deformations of the ethereal medium. Gravitational influence of one physical body on the other is realized by means of the ethereal medium establishing a gradient of the ether elastic pressure on a physical body. 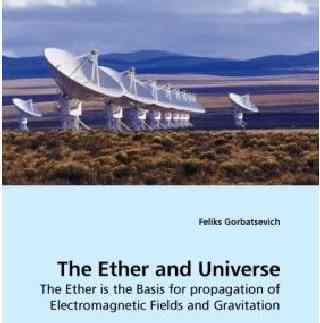 The book can be useful for physicists, astronomers and those interested in the universe basics. 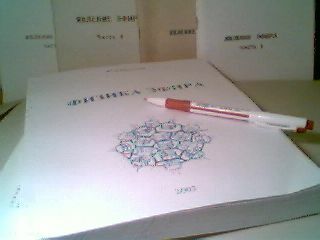 "DEFORMATIONAL POLARIZATION - the search of optimal models"
Published in 2004 by the Siberian Publishing House "SCIENCE" 510 pages folio of professor Alexey POTAPOV "DEFORMATIONAL POLARIZATION - the search of optimal models" at once after issuing became a bibliographic rarity. Its circulation is only 300 copies! Strictly classical and at the same time revolutionary work of professor Potapov uncovers the unique capabilities of optical methods in deep study of the material properties. As against of destructive study using particle accelerators, optical study, based on straining-polarizational properties of material allows comprehensively and multiply (in dynamics) investigate the matter, discovering very thin, deep and composite properties. In this unique monography the research background in the area of deformational polarization are considered. The new approach to the description of deformational polarization based on the model of elastic deformations is considered. That model bases on features of the electronic shells of atoms and moleculas changing under operation of electrical field. The equations of deformational polarization for different classes of materials are obtained. The analysis of their conformity to experimental data is made. There are hundreds of very useful for the researchers formulas, physicochemical properties, extremely necessary for materials and their molecular structure study. Published in 2004 by Saint-Petersbourg Publishing House "Alpha-STAMP" 112 pages broshure of well-known theorist on ethereal physics Felix GORBATZEVICH "ETHEREAL MEDUIM AND UNIVERSUM" states the place and role of aether in Universum. Scientific notions of the cosmos have their origins in the concepts of space, time and matter. Assumption of the postulates of both special theory of relativity and general theory of relativity has not allowed getting a non-contradictory physical model of the universe. We propose the following idea of the universe. Space embraces everything. It is aon-deformable, three-dimensional, Euclidean. The visible space is filled by with ethereal medium. The physical model of the ethereal medium consists of two equal, but opposite in sign, types of particles. The particles are strongly attracted together forming a homogeneous space. Opposite in sign its particles move relative to each other frictionless. In the ethereal medium linear, circular and other movements of physical bodies as well as shear deformations may exist infinitely long. A magnetic field is the consequence of torsion, shear deformations of the ethereal medium. The ethereal medium has a certain electromagnetic density and elasticity. Physical bodies (elementary particles, gases, liquids, solid bodies, plasma et al.) take place in the space and ethereal medium. Gravitational influence of one physical body on the other is realized by means of the ethereal medium. Dynamical processes in the ethereal medium and movements of physical bodies may be fixed in time. Time is local, irreversible, one-dimensional, unilateral, - from the past to the future. 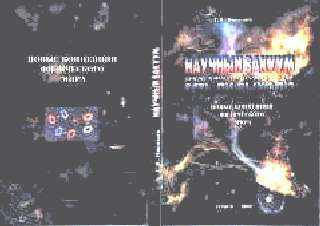 Published in 2003, Nikolaev, Ukraine, 286 paged book of known fighter for ethereal physics Peter PREUSSOV "PHYSICS OF AETHER" and 4 brochures of this author, published between 1992 and 1998, verily are an encyclopedia of the aether. There is stated by P.D. Preussov physical picture of the world within the framework of paradigm of aether as the fundamental of matter. Demonstrative, interesting, emotional and attractive book reveals unexplored world of aether - an actual physical reality. 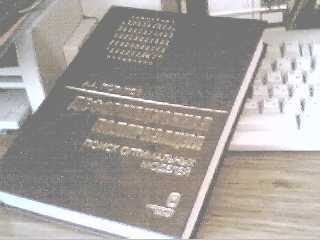 The Book begins with forewords of 20-th century physics genius Dr. Otto OESTERLE that itself is a warranty its quality. 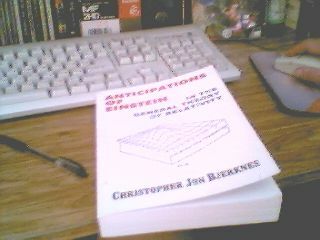 "ANTICIPATIONS OF EINSTEIN IN THE GENERAL THEORY OF RELATIVITY"
Published in 2003 by American publishing house XTX Inc. 400 page folio of the aristocrat of science, member of the world famous academic dynasty of Bjerknes, Christopher Jon Bjerknes "Anticipations of Einstein in the General Theory of Relativity" during a few months became popular and one of brightnes scientific events of last year. In the book the thoughts, formulas more than 200 classics of physics in the field of the gravitation theory are assembled, the different approaches to this great problem occupying minds of scientists since antiquity are parsed. The theory of a gravitation is the key problem in theoretical physics, therefore valuability of the book does not limit by criticism of the "GTR founder", that is the true scientific handbook for physicists - theorists. The book can be gained in many E-shops. Translations of this book from English into other languages, including Russian now are processing. On our site the fragments of this book will be published periodically. Please, watch. Published in 2002 by American publishing house XTX Inc.408 page book of Christopher Jon Bjerknes became the considerable event of scientific and public life. For short time it became popular. 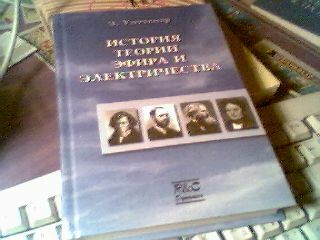 Historic and scientific facts about an actual tragical history of physics of 20-th century are assembled in the book. Many expressions and thoughts of 345 known physicists - theorists and experimenters working in the field of the relativity theory are assembled. The actual authors of the theory of physics are uncovered. 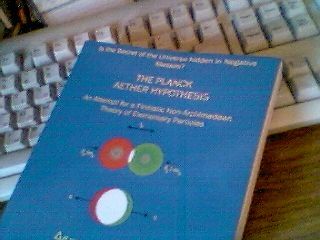 Recently "Carl Friedrich Gauss Academy of Science Press" publishers , Reno, Nevada, USA released 293-page book of the known professor Friedwardt WINTERBERG "THE PLANK AETHER HYPOTHESIS". In that book Prof. Winterberg, base on fundamental results of great Max Plank states the new concept of matter construction. There are references to 127 known physicists in the book. Remarking that modern physics condition is similarly critical centennial situation, he points to origin new "three clouds" on a blue horizon of theoretical physics. There are the riddle of quantum gravity, the vanishing Einstein's cosmological constant, the superluminal quantum correlations. He offerred the original concept of symmetry of masses - positive and negative. Having done fundamental analysis of Planck's constants, Prof. Winterberg, does much unexpected conclusions, which will very interesting for physicists - theorists. The book is possible to gain in many places through Internet. 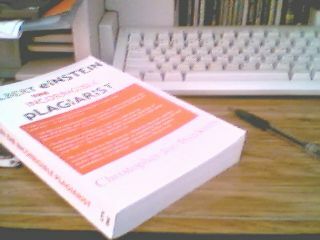 On our site you may read separate fragments of this book, which will be published according Prof. Winterberg's permit. 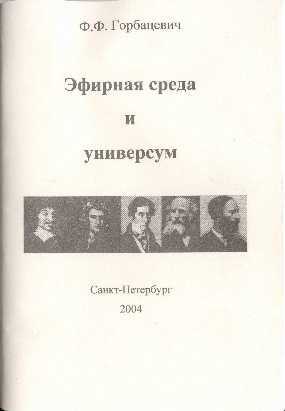 "A HISTORY OF THE THEORIES OF AETHER AND ELECTRICITY"
В 2001 году издательством НИЦ "Регулярная и хаотическая динамика" тиражом 1000 экз. была издана книга сэра Эдмунда Уиттекера "История теории эфира и электричества". Фундаментальное сочинение выдающегося английского математика и механика направлено на ревизию здания науки об электричестве и магнетизме. Эта ревизия принадлежит перу крупного мастера, а его соображения по поводу фундаментальных физических принципов и понятий - поле, сила, энергия - представляют большой интерес для современной науки. Первый том трактата Уиттекера на английском языке появился в 1910 году, а второй - в 1959. Оба они ранее не переводились на русский язык. Книга представляет интерес для широкого круга читателей - физиков, математиков, историков науки, философов. Вводная часть книги "НАУЧНЫЙ ВАКУУМ. Кризис в фундаментальной физике. Есть ли выход?!!" включен расширенный вариант обзора по фундаментальным проблемам современной физики, сокращенный вариант которого выставляется в Internet. В книге дается теоретическое обоснование основ электродинамики среды физического вакуума и даются теоретические доказательства ограниченности современных представлений о законах электромагнетизма и реальности существования еще одного вида скалярного магнитного поля и еще одного вида явления продольного магнитного взаимодействия. Найдена полная и непротиворечивая система дифференциальных уравнений электродинамики в рамках нового формализма двух типов магнитных полей или в рамках формализма полного векторного магнитного поля, а также в рамках наиболее приемлемого для физического вакуума формализма градиентных электрических полей, при полном игнорировании реальности существования любых видов магнитных полей. В книге раскрывается природа гравитационной массы, инерционной массы и инерционной электромагнитной массы, а также природы гравитационного поля и инерции материи вообще.